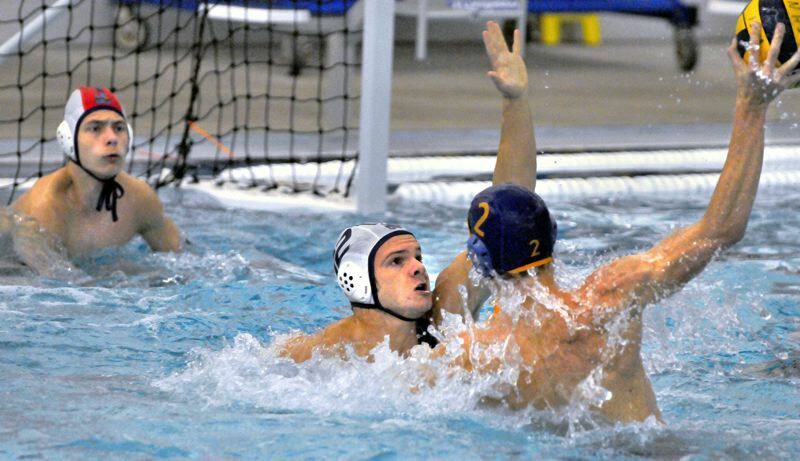 The Lakeridge boys water polo team was facing a stiff challenge. With the Three Rivers League title on the line, the Pacers had one shot to forge a tie when they played unbeaten Newberg at Chehalem Aquatic Center on Oct. 24. But Newberg's boys were ready. The Tigers — who lost twice to Lakeridge in 2017, beat the Pacers in last year's state championship game and battled Lakeridge in an overtime win earlier this year — proved their readiness, taking control early, pulling away steadily and posting an 11-4 win that secured their TRL title. "I think we didn't come to play and we weren't ready for them," said Lakeridge senior Grant Lautze. "It was their Senior Night and they came out fired up and ready to play." "Our boys are in good condition and did not let up," said Newberg coach Jim McMaster. "We also have excellent defense with not only the field players, but last year's high school state MVP Wilson Johnson in the goal." With the loss, Lakeridge finished TRL play at 8-2 — both those setbacks coming to Newberg — and finished the regular season at 13-2. Next up, the second-ranked Pacers open the Oregon High School Water Polo state playoffs against No. 15 Tigard at 12:40 p.m. Friday at Osborn Aquatic Center in Corvallis. "The Newberg game was a tough loss for us but kind of a wakeup call for the team," Lautze said. "We realize now the work we need to put in and what we need to do as a team. We are looking forward to the state tournament and hope to get another shot against Newberg in the championship." The top-ranked Tigers will begin defense of their 2017 state title when they open the state playoffs against the fourth-place team from the Mt. Hood Conference at 11:30 a.m. Friday at Osborn. In their win over Lakeridge, Newberg blasted out to a 3-0 lead in the game's first quarter, getting goals from Zach Jordan, Raleigh Day and Nathan Waldal, with Waldal's score coming with 1 minute, 48 seconds remaining in the period. The Pacers answered with a late goal from Torin Ferguson — he scored with just 11 seconds left in the opening period — but still trailed 3-1. Lakeridge's Thomas Gooding stepped up to score again for the Pacers just 25 seconds into the second quarter to cut his team's deficit to just 3-2, but the Tigers then stomped on the accelerator after that. They outscored Lakeridge 5-1 in the final 6:13 of the half, with Jordan getting the first three of those in a span of just three minutes. The Pacers' remaining goal came from Oscar Loureiro Alvarez, while the Tigers added scores from both Alex Touzeau and Day to boost their team's lead to 8-3 at the half. The Tigers kept the pressure on in the third quarter, too, with Johnson and the Newberg "D" pitching a shutout, while at the other end of the pool, Jordan scored twice more and Dana Findley once to push their lead to 11-3. Johnson made four more stops in the fourth quarter, with Lakeridge's Gooding scoring his team's last goal, but it was too little, too late. Despite the loss, the Pacers remained hopeful about what might lie ahead in the playoffs. "It is gonna be a journey for us in the playoffs … however, I think we have what it takes to win state and I don't doubt for a second that we are good enough," Lautze added. For the game, Day had four goals, two assists and three steals, Jordan had four goals and four steals, Waldal added three steals and Johnson blocked 10 shots.